Give your mind, body, and soul a supercharged boost with this energetic hybrid. 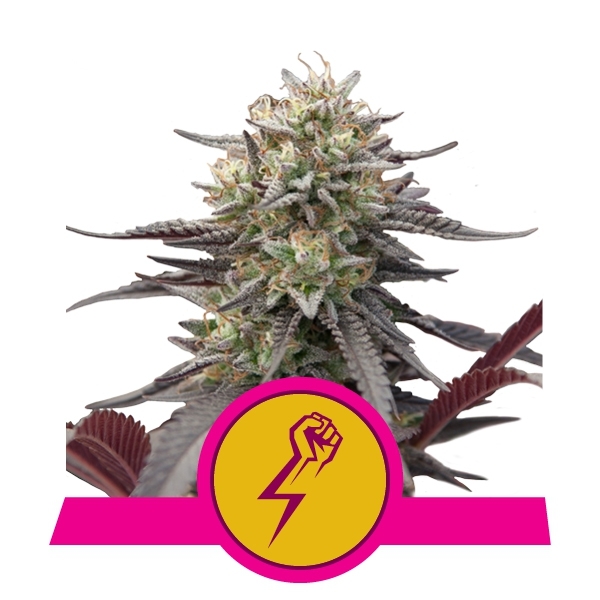 Leaning slightly toward sativa dominance, green-fingered growers can expect enough mental buzz to keep them going all day long. Drowning under a mountain of paperwork? Stacked up with chores at home? 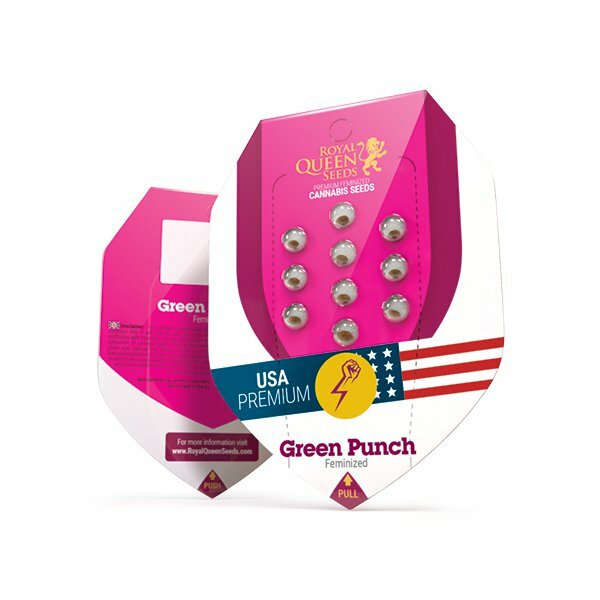 Breeze through tasks the natural way, with a blast of Green Punch! Her flowers glow with vibrant pinks and oranges—a colourful suggestion of the cerebral power that awaits. Staying below 200cm, she won’t overwhelm novice growers, nor will she punish them for minor fluctuations in nutrients, water, or light. After 55–60 days, she will have finished flowering and be ready to harvest. Given how beneficial her energy-boosting effects are, it is best to cultivate her indoors. This way, yields can be maximised as you have greater control over contributing factors. She will, however, still do you proud outdoors. Expect to harvest near the end of September if you live in a favourable climate.